Large organizations are characterized by multiple tendering/procurement needs. In many cases, the information systems or tendering systems they work on are dissimilar i.e. they vary with suppliers and their categories of products are not well sorted out. 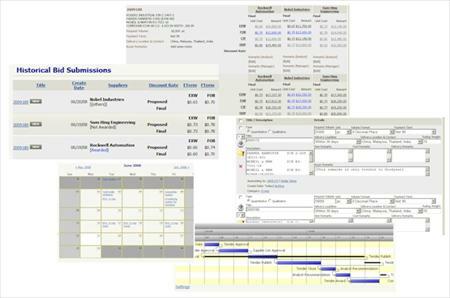 In conventional tendering systems, the procurement process is long-winded and slow; the suppliers' expertise is not appropriately channeled and opens up huge possibilities for adversarial attitudes and conflicts.gement solution provides an environment for requisitions management, bidding information management, tender documents management, suppliers offerings management, and much more. 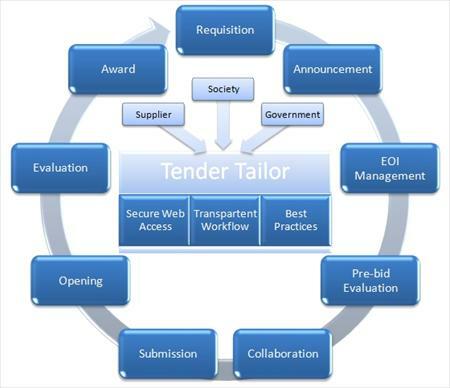 Tender Tailor, the e-Tendering System (or Electronic Tendering System or e-procurement system or e-bidding system) by Software Tailor, is a tool to automate the entire tendering lifecycle for procurement of goods and services starting from creation of a purchase requisition through to the award of contract. It creates a scenario in which digitally authenticated information is accessed and transmitted between user entities (buyers and suppliers) in a secure environment. It facilitates transparency in tendering or procurement, in combination with adequate demand forecasting, giving customers and suppliers certainty over demand and bringing total production in line with total demand. Along with this, price fluctuations and risks to security of supply are reduced.